Guess what we did today. Abbey, Granny's grand daughter came today to decorate the tree. I was so excited I could have hugged her as tight as. So what does that mean? Usually mess. We only had a little time so we just got 3 boxes out, the rest can come out on another day Granny said. 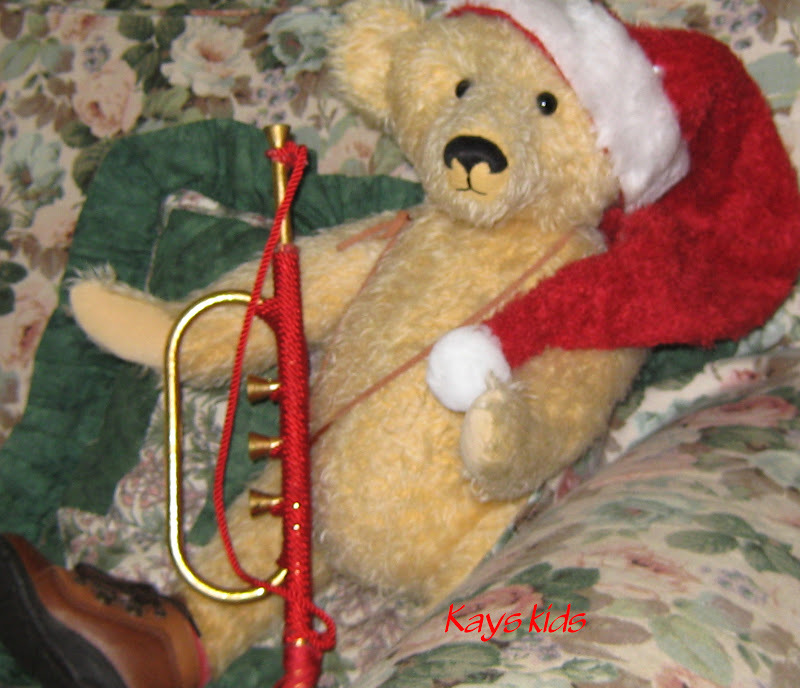 Abbey told me I was blowing my trumpet a bit, by bragging how much I had been helping Granny, so she thought I could blow this one. Look what I found. I just know Santa will stop here. Especially for me because I have been trying to be good. Abbey and I had warm chocolate milk and toast and honey together. It is always nice when we share toast and honey, we can lick each others fingers. 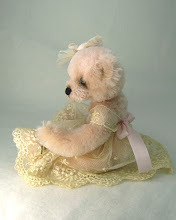 This week I would like to Welcome Rosabears to my site. 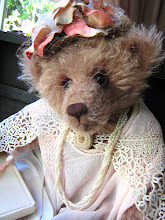 http://rosabears.blospot.com have lovely photos of flowers, bears and heaps of lovely things on their site. Liane has lovely pretty things plus a beautiful bear. 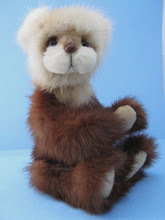 A friendly welcome to Marion from http;// manchmalistdaskleineglueckganzgross.blogspot.com. 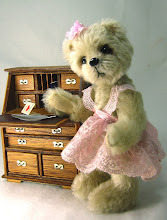 You wont believe the wonderful bears she has on her site. I love every single one. but we can direct the sails." A wonderful bear and a very cute girl! Is she your granddaughter? Kay! What pleasant chores)) Soon, soon the New Year! Your Christmas tree is bee-u-tee-ful. You and Abbey did a wonderful job decorating. I'm glad you talked with Bellamine & Wendy at the North Pole, but Wilbur, you don't have to worry abut Santa stopping at your house. We are all being good teddy bears and helping our humans and he knows that. "Making a list, checking it twice..."
I sure like your sign, where are you going to display it? 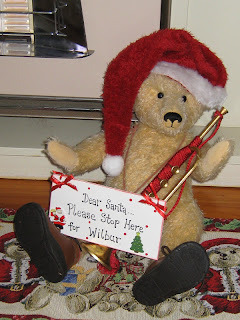 Hi Wilbur, it looks like you had loads of fun decorating, although Abbey may have had a point with the trumpet ;o) You had a great plan ringing Bellamine and Wendy though, and since SOMEONE doesn't bother to decorate for Christmas, we might need to phone them too! Santa says that when we visit with you today that we tell you that you shouldn't worry because you're on the NICE list. We figured as much but now it's been confirmed. We have to wait until next weekend to decorate our tree because we have a big Thanksgiving dinner on Thursday. We hope our Christmas tree looks as pretty as the one you and Abbey decorated. Your tree is BEE-U-TEE-FULL! What a lovely pic of your Abbey! Precious memories, eh?! Don't worry, dear Wilbur - we have no doubt that Santa will drop by to bring you wonderful presents because you are such a good boy and the lovliest friend of your Granny - and not to forget the best Christmas tree Co-decorator ever. Your tree is beautiful! Wow, Kay !! your grand daughter is a beautiful little girl !! and your Christmas tree is perfect !! So lovely!!! Your tree is really lovely!! 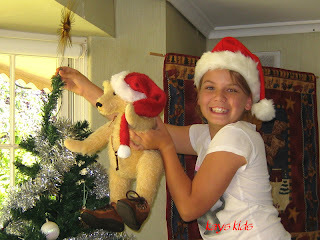 This is such a fun - decorating a Christmas tree! for sure. I bet you had a ton of fun with Abbey. I loved looking at the photos. You sure are a handsome fellow! Abbey è il solito adorabile pasticcione bear...ma io lo amo moltissimo ! 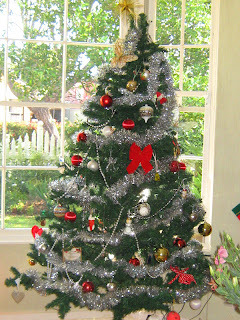 What a splendid tree beautifully decorated ....Granny is one step ahead of me! What a pretty tree Wilbur. I got our tree up this week too. 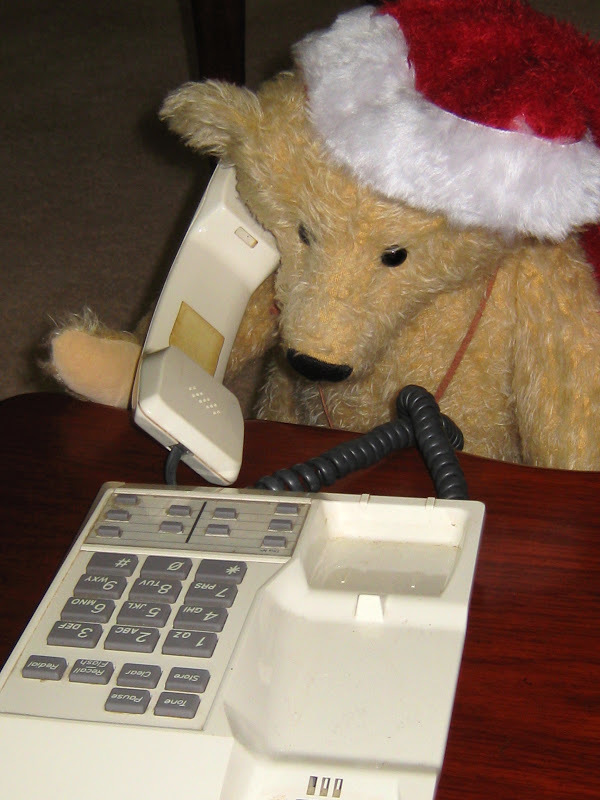 I'm sure Santa knows what a good bear you are, so you can look forward to his visit on Christmas Eve. Thanks for stopping by earlier today. I can't believe you are decorating for Christmas already ... where's this year gone? Sorry to hear Granny has been unwell and hope she is now fully recovered. Kay you have a beautiful grand daughter and your tree is awesome. I have to get mine up yet. Going to have christmas with our grand kids out west this year. Glad to see your tree is up, it is beautiful. I love Wilbur's outlook on the Santa thing, we have the same priorities! Замечательные помошники и очень красивая ёлочка. Сразу чувствуется что праздник совсем рядом. Oooooh Wilbur, you and Abbey did such a beautiful job decorating the tree, no wonder Granny was so happy! We tried helping Mama Pea with the decorations this morning but she ended up telling us to go play in our rooms...she mumbled something about us being more trouble than help!! Oh well! Yikes, we never thought of a sign to make sure Santa finds us here at our house. Hmmm, maybe we'll have to make sure we write him a letter with a map to our house!! your tree looks so pretty! We are helping to decorate our house and it's a mess. We hope Granny is all better now. 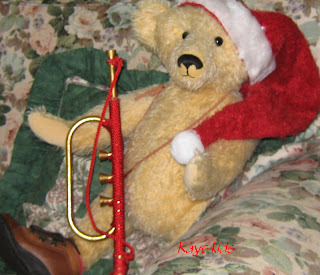 I think Santa will stop at every bears house cause he loves us and knows we are very good bears almost all of the time.